What Weight Does Your Body Want to Be? 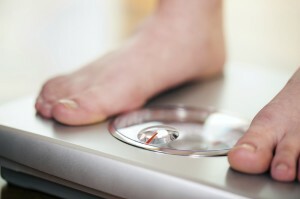 Do you find yourself fighting and fighting to reach a certain weight, only to bounce right back to your current weight? Have you dropped 10 or 20 pounds, only to have them slowly creep back on? What’s the deal? Why does your body desire a certain weight? Research shows that your body has a weight “set point”, the weight at which your body naturally likes to remain when it’s healthfully being taken care of. My sister carried some extra pounds as a teen and young adult. I assumed that was her natural build. Fast forward a couple of decades and you’ll find she’s a lean machine wearing a much smaller size – and she’s maintained her body this way for 20 years. What I thought was her ‘natural weight’ was really the result of poor health habits and college living. After making smart choices about her eating and exercise, her body found what was her more natural weight set point. Similarly, I have a friend who consistently made smart choices about her eating, exercise and overall wellbeing for about four years. By just making those smart decisions every day, her weight set point made itself known at a healthy 140. A few years later, she allowed stress, parenting and aging to break her healthful living habits. Now, she weighs 170 – and this new weight won’t budge as long as she keeps making impulsive and short-term decisions about her eating and exercise. So from personal and professional experience, I believe our genes know the weight at which we’re healthiest. The problem is that our weight is highly governed by the way we live, as my sister and friend have learned. … then whatever weight you are is the weight your body wants to be. If you make those healthful decisions and your weight STILL isn’t where you want it or your pants don’t fit the way you’d like, I suggest that you let it go. Your body appears to be happy at that weight. It may be time for you to call a truce with your genes – and your jeans. If you’re NOT making those healthful decisions and your weight (or size or energy) isn’t what you’d like, take a look at your lifestyle habits. Proactively start with one small choice each day in each area you could improve. That could mean switching that morning Mountain Dew for a more healthful beverage or taking the stairs instead of the elevator. In a very short amount of time, you could be pleasantly surprised with how well your body cooperates. No matter where you’re at, may I suggest a truce and loving acceptance of how you’re wired? Encourage yourself like you’d encourage your best friend. Be kind to yourself and forgive yourself for making self-sabotaging choices. That’s in the past. Make today the day you either accept yourself the way you are OR determine to make small choices to become the person you want to be. What are your thoughts? Do you agree with this concept of a weight set point? I’d love to hear. Next up, we’ll take a look at your “Happiness Set Point”, another interesting way we are wired that can be influenced by our choices. Thanks for your wise and kind words, Kate. We all could use a little reminder to treat ourselves like we would our best friends. Thanks for my reminder. And, how would you treat YOUR best friend? Hope you take care of YOU that way today!